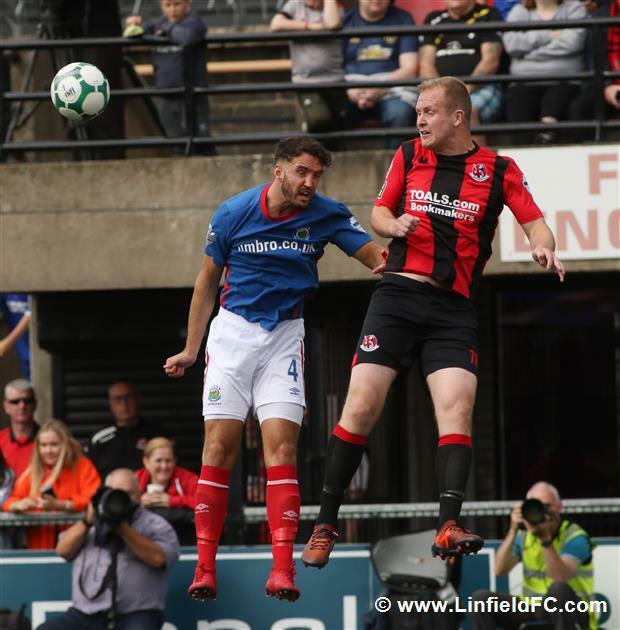 Matchday three saw Linfield faced with a tough trip to North Belfast to take on Crusaders at a packed Seaview and it proved to be a great afternoon for David Healy’s side who picked up a thoroughly deserved victory over the current champions. 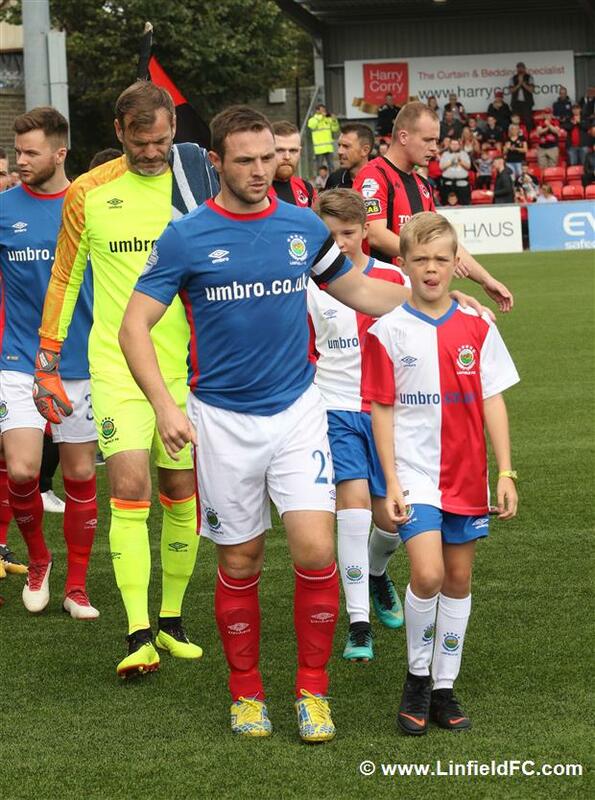 Linfield manager David Healy had captain Jamie Mulgrew and Robert Garrett back from suspension, with Mulgrew coming into the team for Kirk Millar in David Healy’s only change from last week’s 3-0 win over Institute. 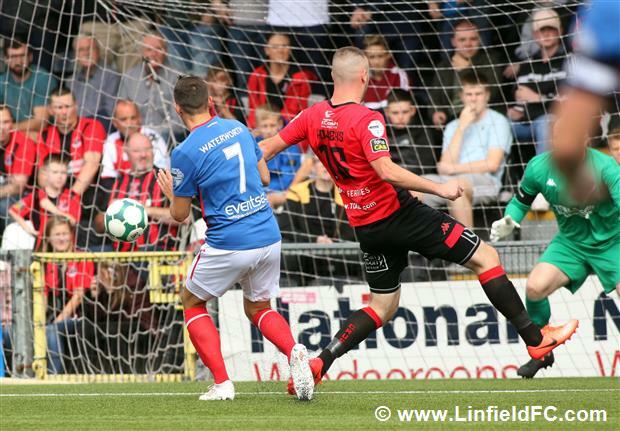 The first half was cagey in large parts but Crusaders had a golden chance within two minutes when Ross Clarke picked the ball up out right, before dazzling his way through Linfield defenders to find himself one-on-one in the box but his shot was ultimately met with a big save from Roy Carroll with his feet to the relief of his defenders. 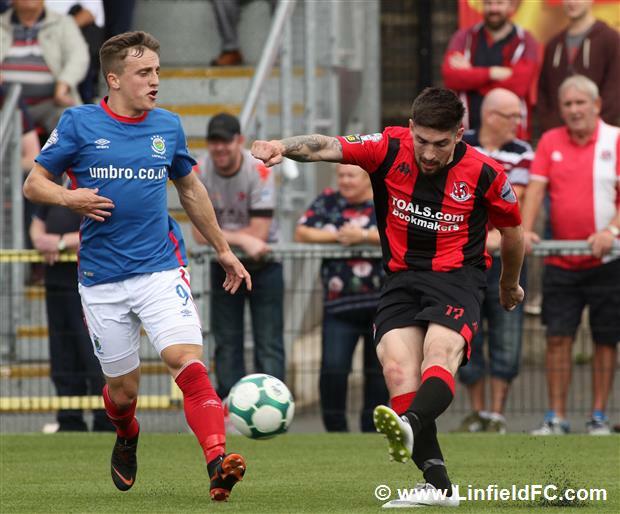 Linfield responded well and had umpteen corners but Crusaders defended them convincingly and clear-cut chances for the Blues were few and far between. 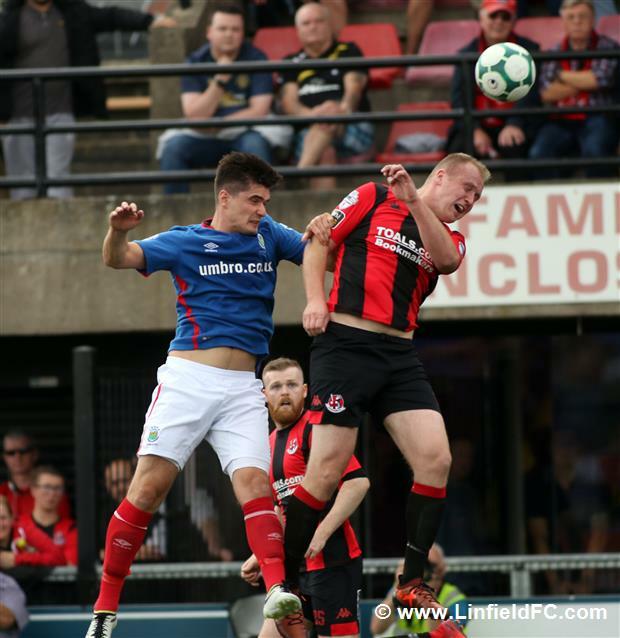 The Blues were standing up well to Crusaders’ physical style and did well to keep their cool when Jamie Mulgrew was caught late on four occasions. The Blues struck the opener on 35 minutes with a slick move and their first real chance of the game. 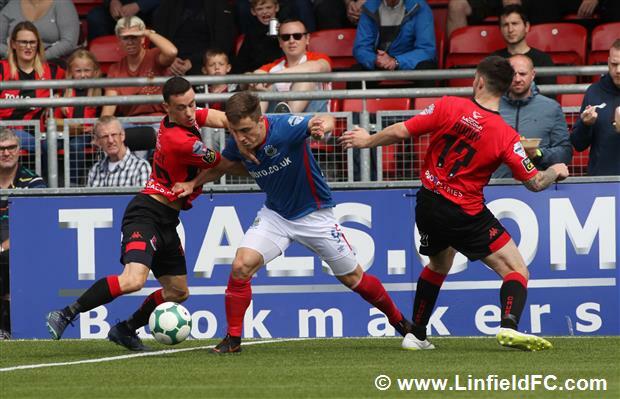 Daniel Kearns drifted out wide right before flicking the ball over Michael Ruddy’s head for the onrushing Chris Casement inside the box – Casement showed good composure to lift his head and see Joel Cooper loitering in the middle, Casement supplied the cross and ‘Super Cooper’’ supplied the emphatic finish. 0-1. 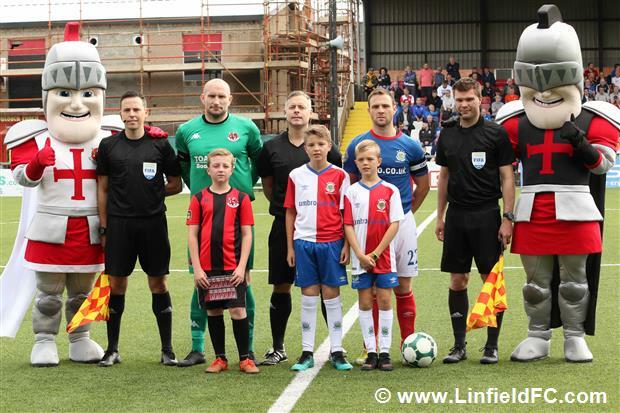 The Crues looked to hit back immediately as expected but Jordan Owens was unable to hit the target with a snapshot after Caddell flicked the ball into the big striker’s path. 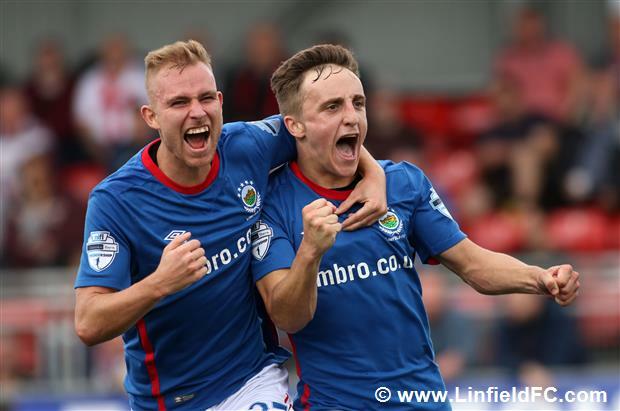 Linfield maintained their standards in the second half and went close on 51 minutes when Chris Casement struck a 25 yard free-kick, firing it over the wall only for Sean O’Neill to beat the ball away. 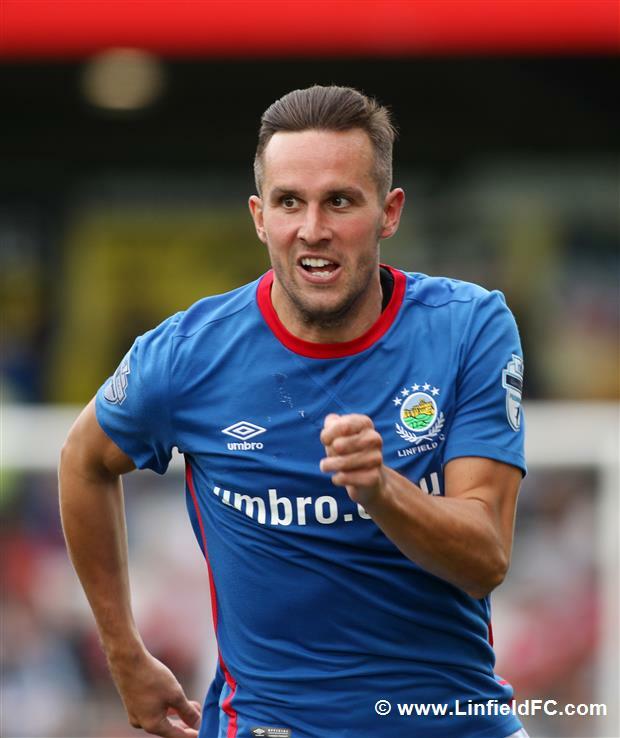 The Blues did bag their second two minutes later, however, and what a goal it was. 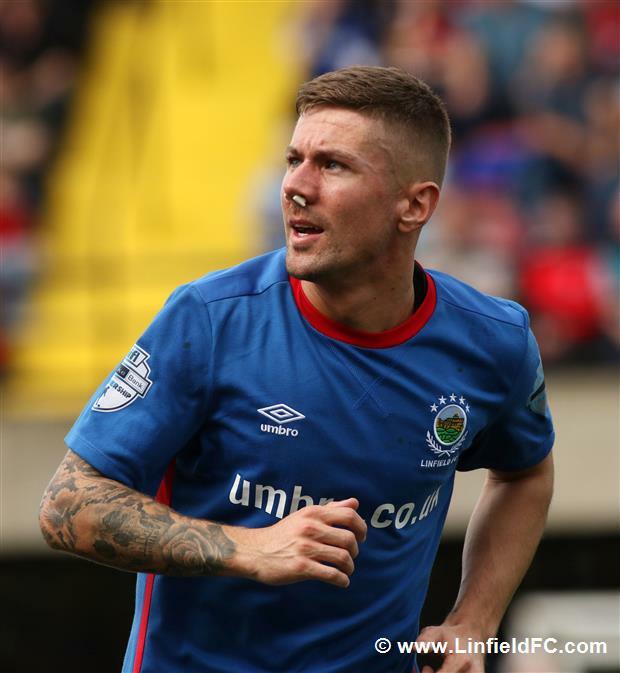 Kearns slipped the ball to Cooper who drifted in through the middle before spotting Mulgrew rushing down the left into the box. 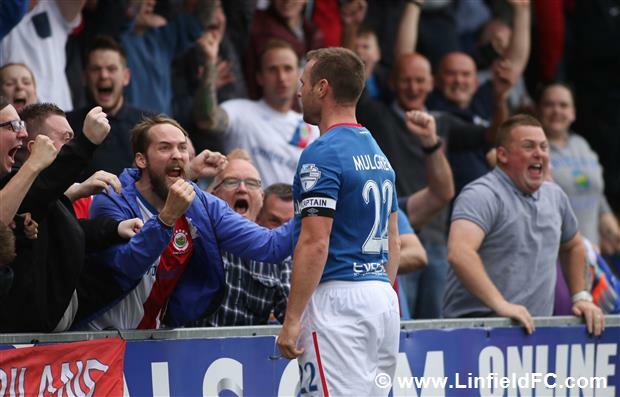 The captain took a touch before firing an arrowed strike into the far corner to make it 2-0. 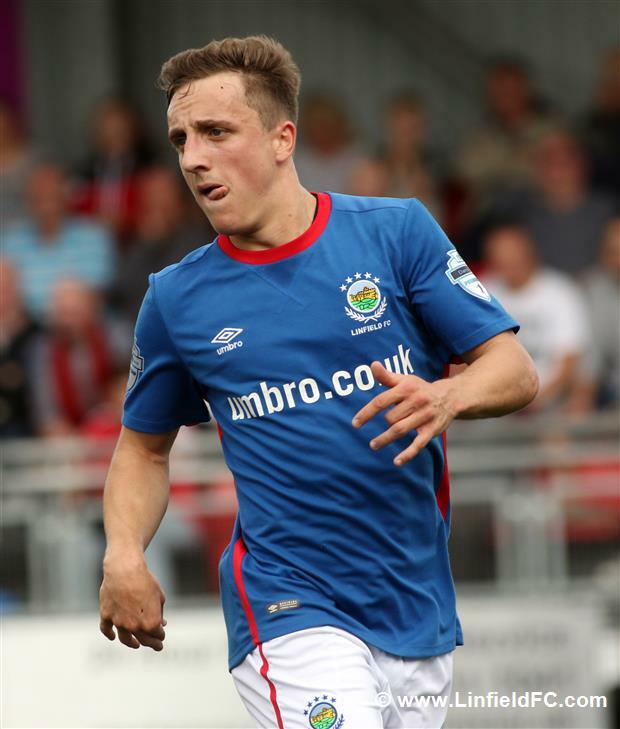 Crusaders tried to hit back once again and almost got one back as Jordan Owens fired a fierce strike just over. 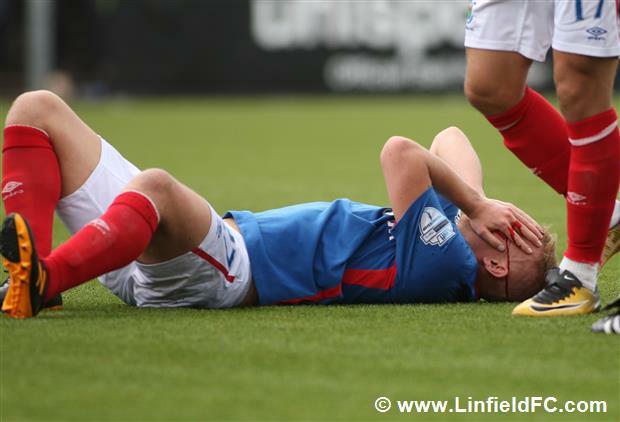 Moments later, Linfield breathed a real sign of relief as Matthew Clarke’s attempted clearance cannoned back off his own crossbar. Niall Quinn threatened with a low cross-come-shot after retrieving what looked like a lost cause out left, he fired in a cross-come-shot and it was somehow cleared off the line with Joel Cooper seeing his follow-up shot blocked. The Blues held on for the 2-0 victory. 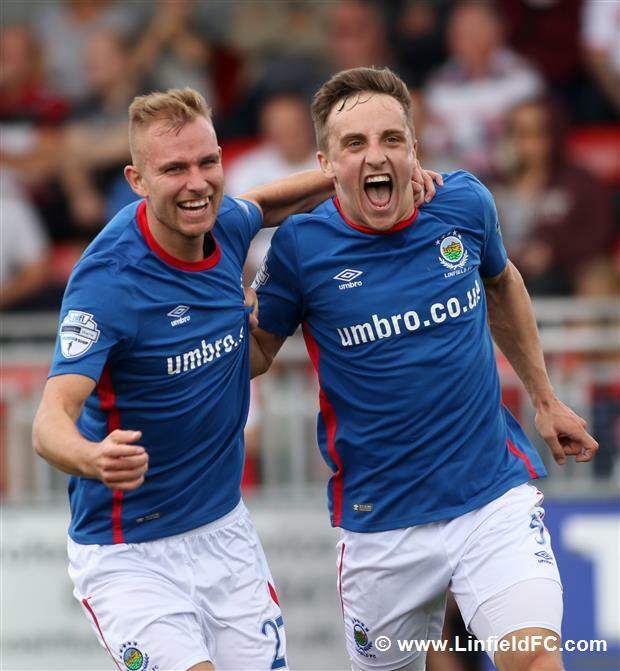 The Linfield players were brave and won their battles and their determination was clear to see, summed up by the battling Andrew Mitchell who limped off the pitch with his face bandaged up. 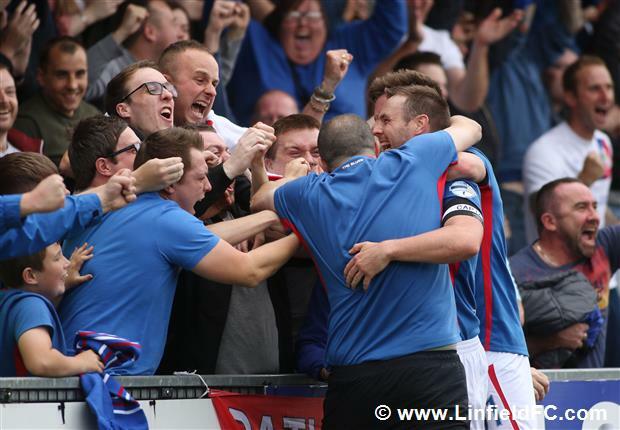 They got their reward with a third win from three opening matches to move top of the table.